I got one! I wasn’t expecting it, but it came! Google’s Cr-48 notebook they’re shipping to selected applicants as a test platform for their new operating system, Chrome OS, is now in my possession - and it’s awesome. Soft touch everything, matte black, matte screen, nice keyboard, webcam & microphone, SD card slot, USB port, and a host of other cool features optimized for a browser-based OS that I’ll go into further down. Before we go any further, I just want to mention that this particular post is focusing only on the Cr-48, and not on Chrome OS. I’ll be doing a Chrome OS write-up later. 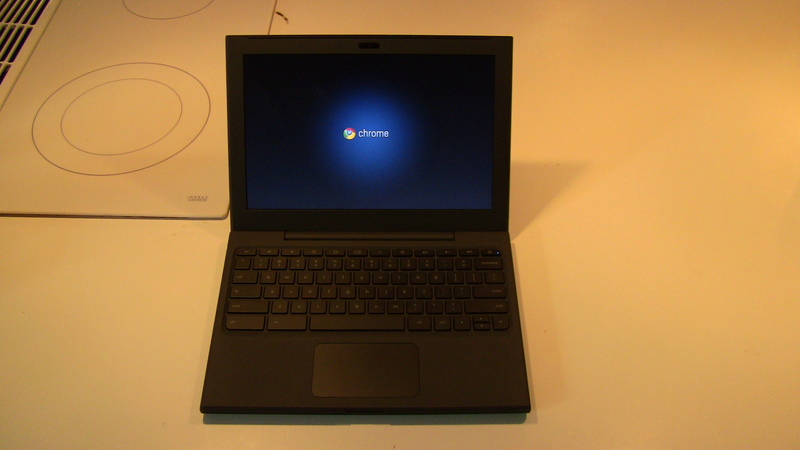 Bear in mind, the Cr-48 will not be sold commercially, so the only way to get one is by applying to the Chrome OS Pilot Program & Google selecting your application. This is kind of a review, but given the circumstances of getting one it’s mostly academic. Having removed everything and popping in the battery, I fired it up. 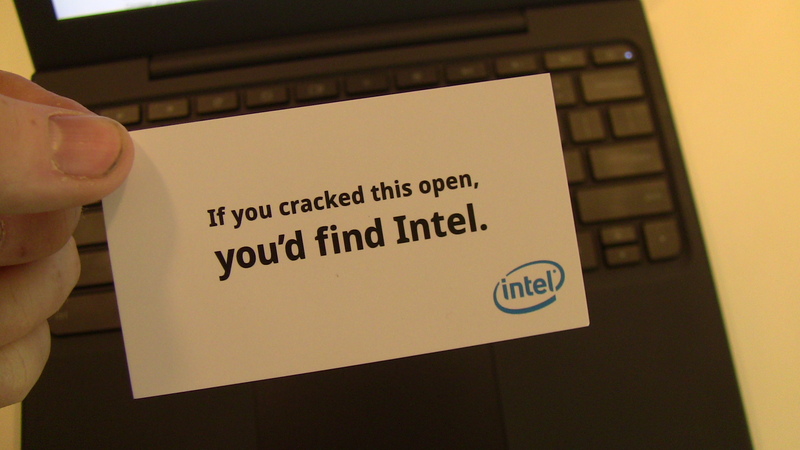 Actually, all I did was open the lid & it started up automatically. A blue flowing background with the Chrome OS logo popped onto the screen, but only for a moment until I was brought to a login box. I’ve timed the cold start a number of times, and every time it’s about 15 seconds. From no power to login, a quarter of a minute. It takes my normal laptop that long just to get through BIOS post & firing up the OS boot process. Now part of that has to do with Chrome OS itself, but it’s also due to the lack of a hard drive in the Cr-48 since, after all, the OS doesn’t support saving files on the local machine. Having taken the picture, I was done with setup. Since I use Chrome as my browser on my normal computer & keep my account synced, all of my settings, bookmarks, extensions, apps, etc. were all automatically populated onto the Cr-48. I had absolutely nothing else to do in terms of making changes to settings. The only thing needed was to set my local time zone on the machine, and I was done. The laptop feels very nice to type on. The keyboard feels similar to modern Mac keyboards, with pleasant plastic key feel and good button push. 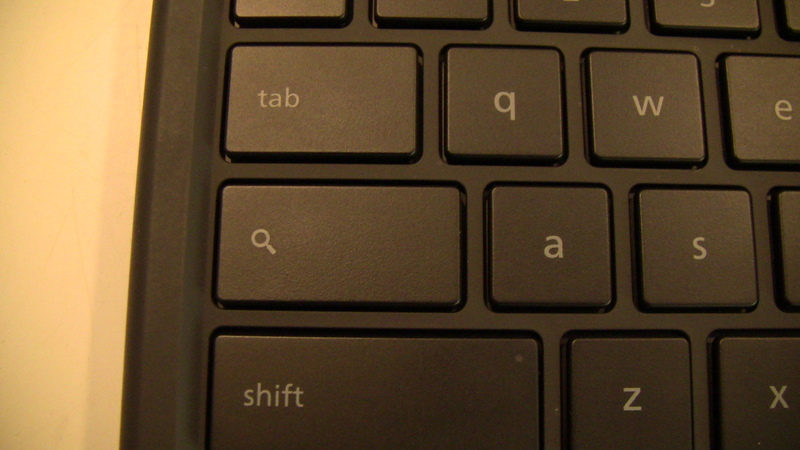 Even the shape of the keys is similar to a Mac. The size of the keyboard is actually much better than on most other notebooks I’ve used, even on the larger end of the spectrum where this one falls. It’s a standard QWERTY keyboard layout, but that’s where the similarities end. 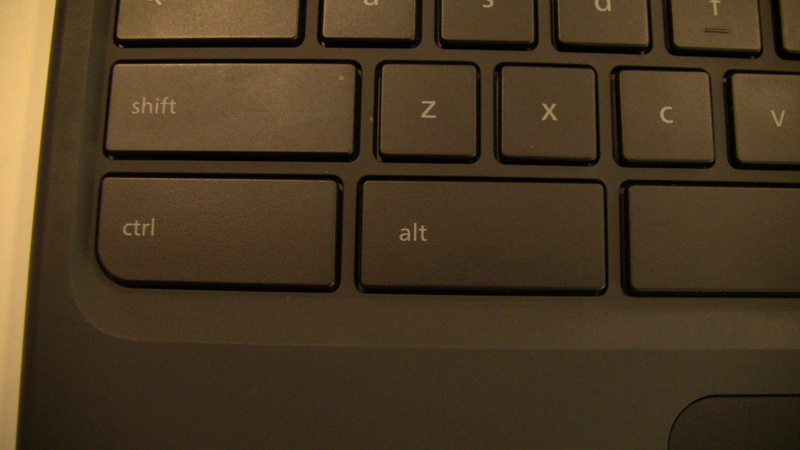 They’ve removed the normal “Windows” key in the bottom left of most keyboards (Mac people would know it as the Command key) and widened the Ctrl and Alt keys to make them as large as the Shift key. They’ve also done away with Caps Lock, though the key is still there, instead functioning as a Search button. Press it, and a new tab opens in Chrome, with the cursor in the Omnibox ready for a search. Remember Function (“F”) keys? Not on this thing. 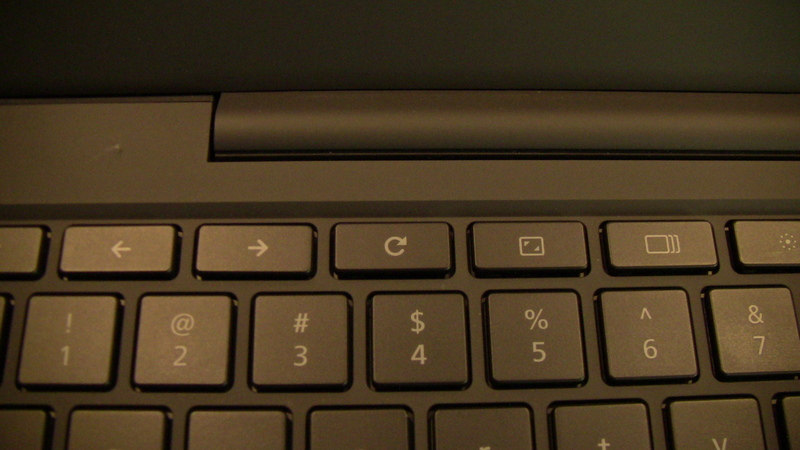 The entire row of Function keys has been replaced with buttons dedicated to web browsing. 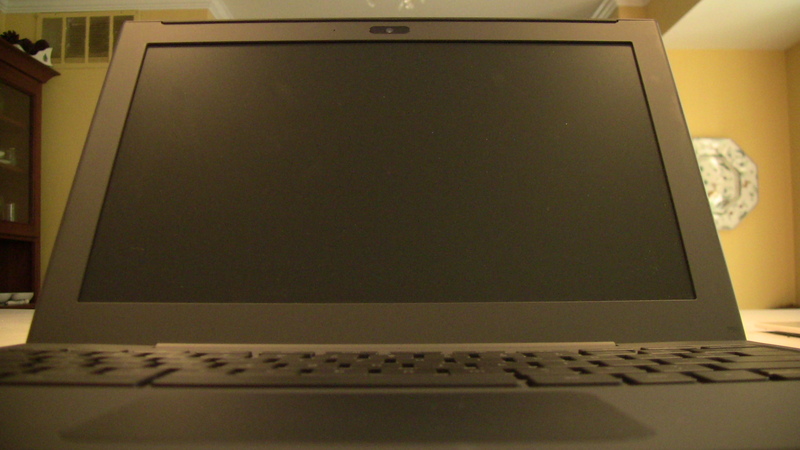 In order from left to right: Back, Forward, Refresh, Full Screen, Next Window, Decrease Brightness, Increase Brightness, Mute Volume, Decrease Volume, Increase Volume. It took a little getting used to, but I’m already such a fan of that setup that using my normal computer seems a little cumbersome for browsing. It’s really pretty intuitive. There are a few things about the keyboard that I find lacking from my normal laptop. For one, there aren’t any Home or End keys, which I use all the time when editing documents or blog posts. Also, I use F6 all the time to put the cursor focus in the address bar to search or browse in the current tab. Still, minor differences I’m already getting comfortable not using. As I mentioned at the beginning of this post, “matte” is the name of the game with the Cr-48. The screen has a matte finish (so glad! ), the keys are matte black plastic, and the entire body of the notebook - literally all of it - is finished with matte black soft touch rubberized plastic. 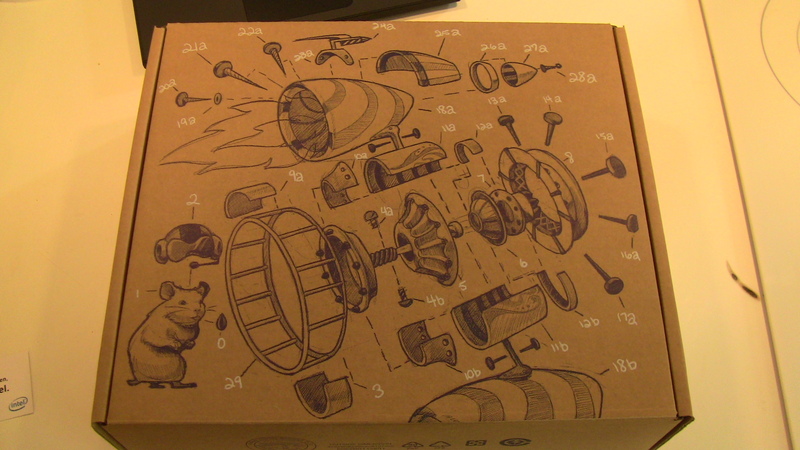 There are no logos, branding or any marks to indicate what it is. It’s about as simple as you can possibly get in terms of styling, and in this case simpler really is better, as I personally think its utilitarian & sparse design is actually quite striking. 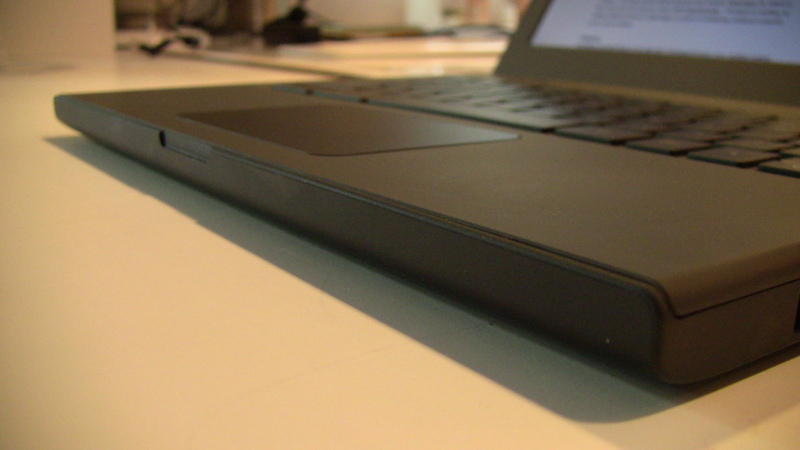 Plus, the soft touch finish on the body feels awesome while resting your palms for typing, or just carrying the notebook around like a folder (which I’ve been doing pretty much non-stop since I got it, and plan to continue doing for the foreseeable future). Since Chrome OS is literally just the Chrome browser & some user management software, the internal hardware doesn’t need to be much. Because the OS is based around the idea that everything is stored on the cloud, and nothing is stored locally, it has no hard drive. There’s flash memory to store the OS & any extensions or downloads you have, but there’s no file manager to allow you to put anything on the computer itself. So no hard drive means no drive noise or heat. There’s also no optical drive, meaning - again - no drive noise or heat. I’m not even sure if there’s a fan in this computer, since I haven’t heard or felt one turn on yet even running many apps with Flash video playing. As a result, the Cr-48 is usually cool to the touch, and completely silent. So silent that unless you’re looking at the screen, you won’t know it’s on. Even for people used to quiet computers, this is quieter. I’ve literally never encountered a computer that makes as little noise as this one. Sitting in a quiet room with this, keystrokes (which are also very quiet) can start to sound like you’re hammering out the letters. 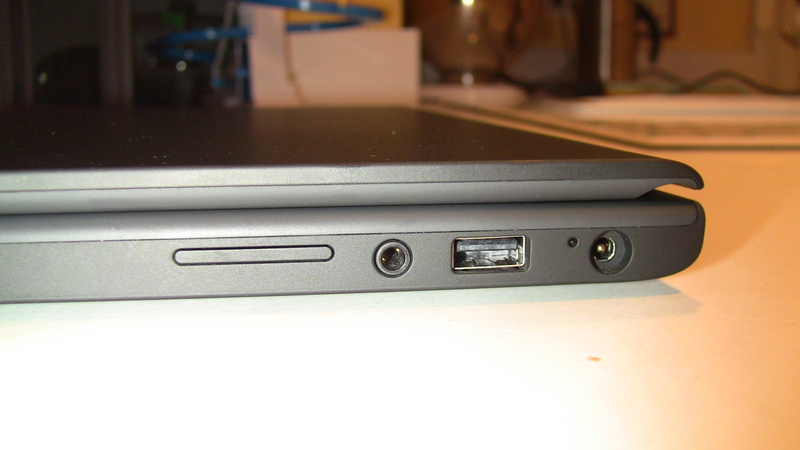 Despite a lack of traditional computer hardware, there are still some vital features that remain: there’s a USB port, headphone jack, and SD card slot. 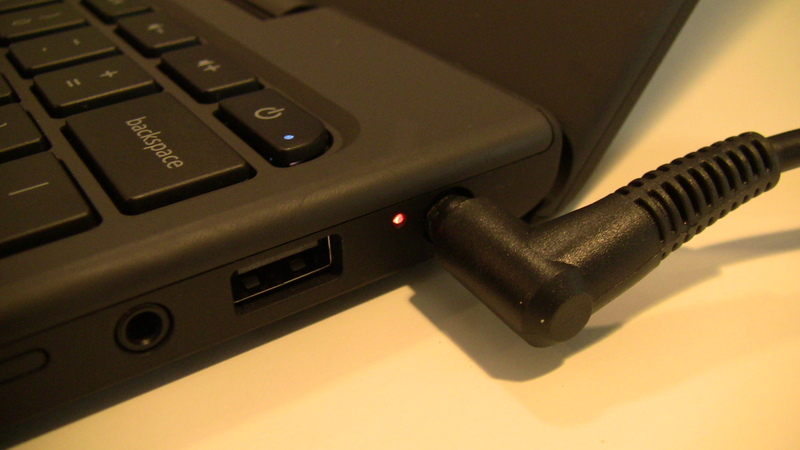 There are very few device drivers for Chrome OS at this point, but basic USB devices such as mice & keyboards are supported. If you happen to be a Yubikey user like I am, that’s also supported as it identifies itself as a USB keyboard, so no worries there. 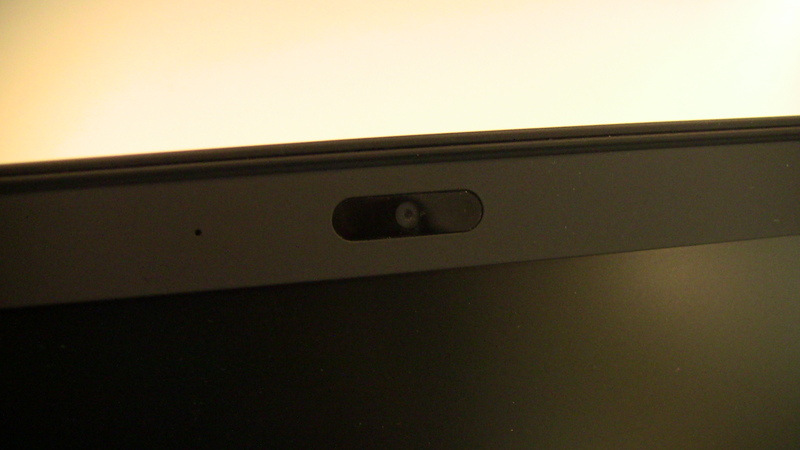 The SD card slot works, despite some references or speculation to the contrary from various online sources. In fact, all of the pictures in this post were uploaded using the SD card slot on the Cr-48 directly from my Canon camera, so I can fully vouch for the fact that it’s usable. 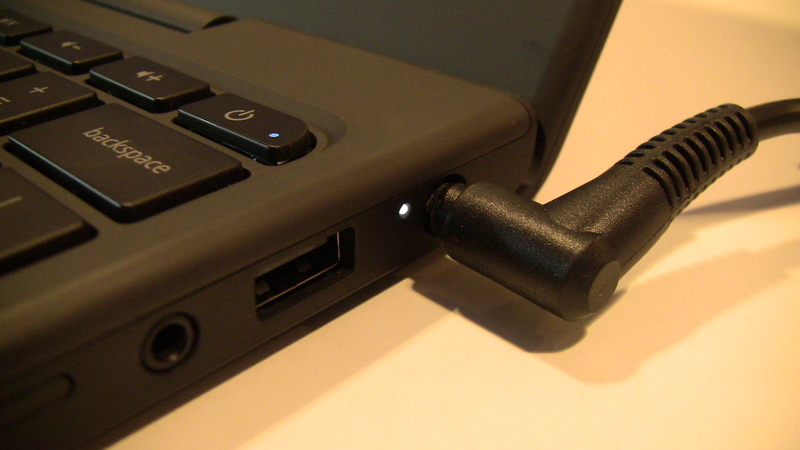 The headphone jack also works just as you’d expect. 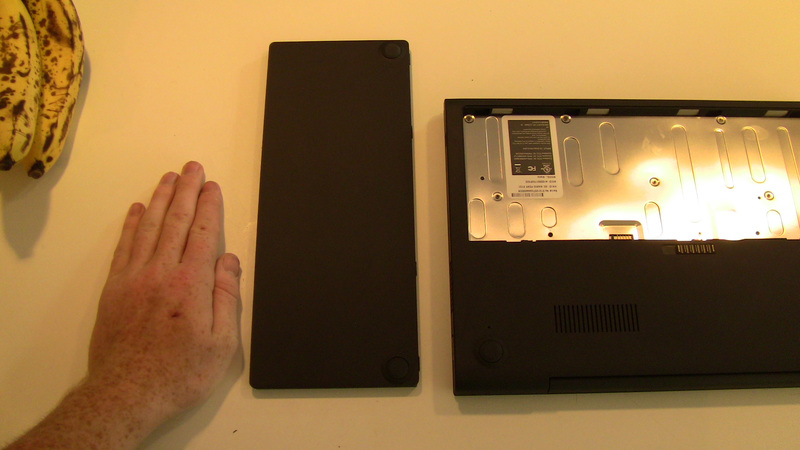 The lack of drives or other extra hardware typically found on other notebooks means less weight as well, and it is very light - though to be honest, not as light as I might have expected for its size & specs. The reason it’s a little heavier than expected is due to the very large battery though, and given how much time you can run wire-free I have no complaints about a few extra ounces of battery weight. 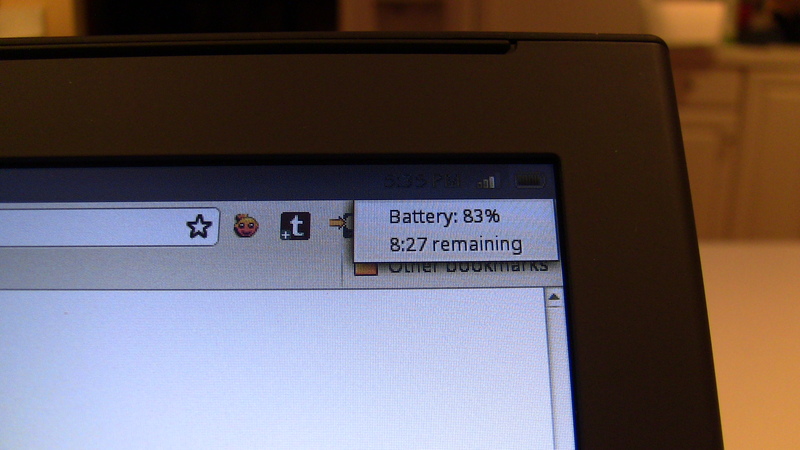 While we’re talking about the battery, let’s discuss battery life: it’s fantastic. Google says you can expect over 8 hours of computing time on a full charge, and so far I’ve found that figure to be fairly accurate. As with any battery-powered device, use time is entirely dependent on what you’re doing. If you have 30 tabs open with Flash running in multiple tabs, watching video, cranking the volume & putting the screen brightness al the way up, you’re not going to be able to get 8 hours out of it (though in all honesty, you’d probably still get at least 5 based on my short attempts to torture test it). If you’ve just got some email, text editing, blog pages, etc. with moderate screen brightness and perhaps even some music on in the background, it’s entirely possible you’ll get that 8 hours. In using it intermittently from a 90% charge, I was able to get a total of about 9, maybe 10, hours of use before it hit 10% and I plugged it back in (though the computer even then didn’t give me a low battery warning). I’ll continue to test & monitor the battery life of the Cr-48 in various conditions and report back. It’s a nice feature, especially if you aren’t using it all the time or have it set aside to charge & need to see quickly whether it’s full without turning it on. Despite all the awesome aspects of the Cr-48, there are a few things that bug me. First off, the touchpad can be finicky. There are no dedicated mouse buttons. 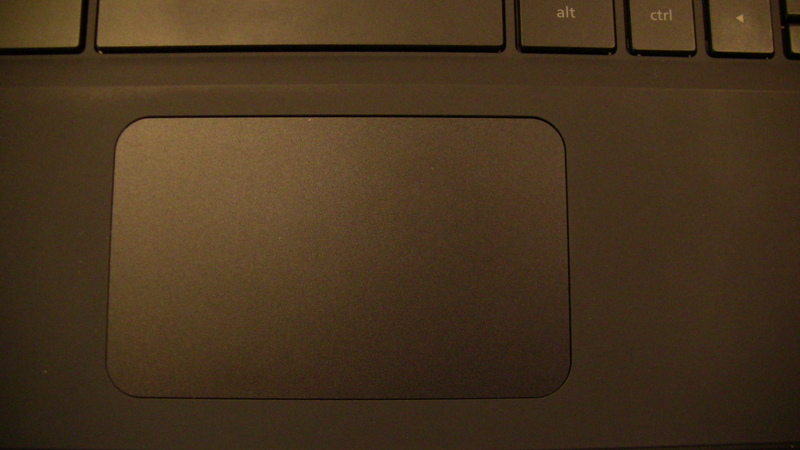 Instead, you click the whole touchpad surface like you do on a Macbook. I’ll be honest, I don’t really ever click the touchpad but instead just tap to select, which works fine. It also uses some of the multi-finger gestures you may be used to on a Macbook such as two fingers to scroll, and by clicking with two fingers you can right-click. For the most part the touchpad works fine, but it can jump around a little if you’re trying to click and drag, and if you accidentally rest a finger on it while trying to use it with the other, the cursor might jump or just stop moving. By no means a deal breaker, just something to get used to. So far I haven’t been really annoyed by it at all. The lack of Home and End keys that I mentioned earlier is probably the hardest thing for me to adjust to. I use that all the time when editing documents, especially when I’m preparing show notes. Having to select a line of text or jump to a position using the mouse or arrow keys is more cumbersome than simply hitting a dedicated button. 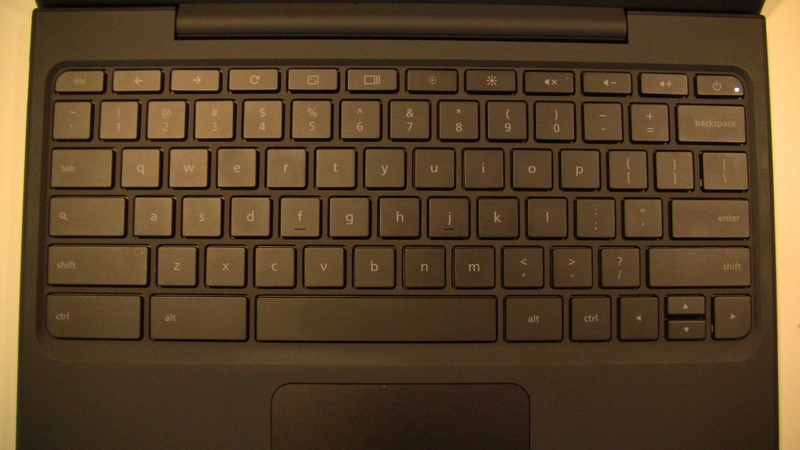 On production Chrome OS notebooks I think that’d be a great addition to the keyboard. Perhaps they could shrink the enormous left Ctrl and Alt keys & squeeze in Home & End. 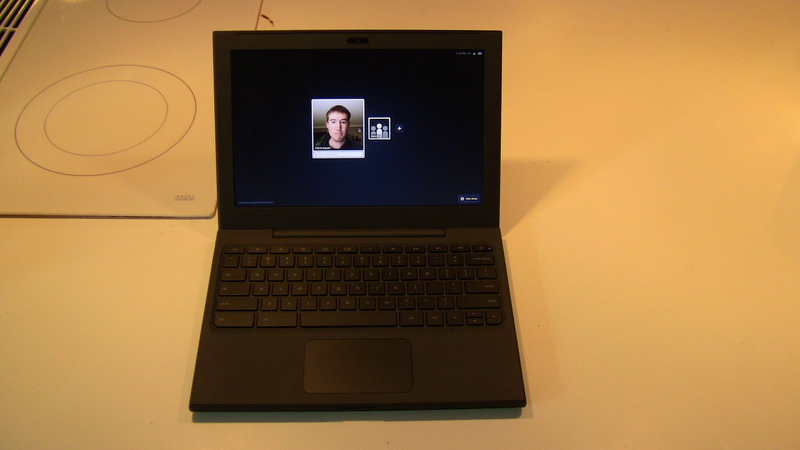 Update: Voice & video chat can also be frustrating on the Cr-48. I don’t know whether the issues are hardware or software-related (it’s probably a combination), but after only a couple of minutes into a call the audio starts to be choppy & broken, almost like a really bad cell connection. Mind you, this is while being on Wifi about 6 feet from the hotspot connected to a FiOS line. The video is jerky & slow all the time, clocking about 10-15 frames per second at best, and as low as probably 2-3 at worst. Not very smooth at all. I suspect it’s due primarily to an underpowered processor for video & audio, but also could be related to the voice & video chat plugin that may not be optimized yet for the lower power hardware that will be coming in Chrome OS notebooks. I’ll be the first to admit, this computer may not be for everyone. However, the shortcomings it may have are almost exclusively part of the software stack, and in simply looking at the hardware, I’m thrilled. I’d personally really like to see this computer be sold commercially at some point. Ok, not this exact model (hey, I was lucky enough to get an invite-only, pre-production device, what’s wrong with wanting to keep it a little exclusive?) but one very similar, or nearly identical. I really think that for people for whom Chrome OS is a viable, and even appealing, option for being productive the Cr-48 is fantastic. It feels nice to use, it looks great, the battery lasts longer in the day than a lot of people I know, and it’s simple. I absolutely love mine, and so far really don’t miss the baggage of a full-blown OS & computer for day-to-day stuff. My First Question To Make It On To Security Now!